I have been making these cherry delights for close to 30 years. The recipe was given to me by a friend I think. The thing about recipes given that long ago, you sometimes forget where you got them! . Sour cherries are plentiful in summer. My father had a small orchard and planted several sour cherry trees that produced the most beautiful dark red cherries. I pick and seed them in the summer and freeze them to make these beautiful muffins. Muffins? They are more like mini cakes! Mix together well and fill into a muffin tin a tablespoon at a time. Fill only 10 of the muffin slots. Mix the wet ingredients together and add them all at once to the dry ingredients. 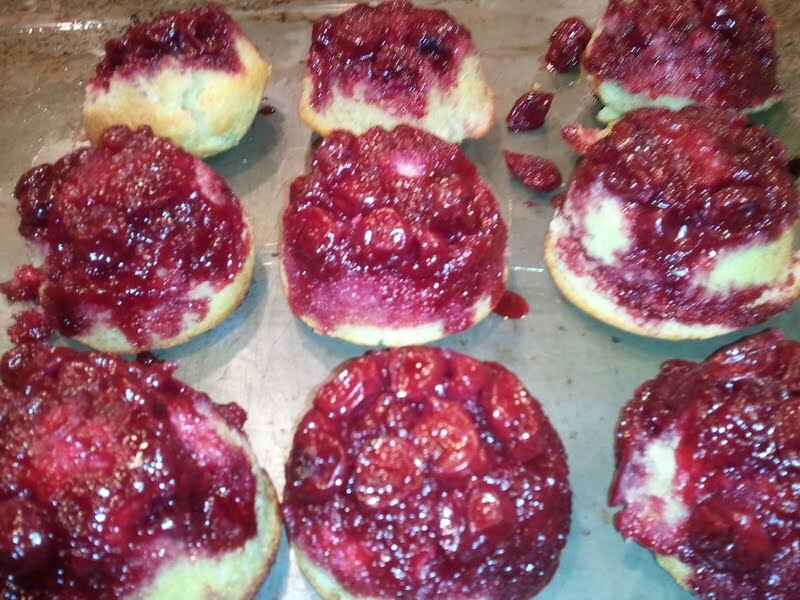 Gently mix to a batter and spoon onto the cherries in the muffin tins. I am thrilled to see this recipe go up on the website. We just got back from our stay at Swiss Woods and these muffins were heavenly! YUM! 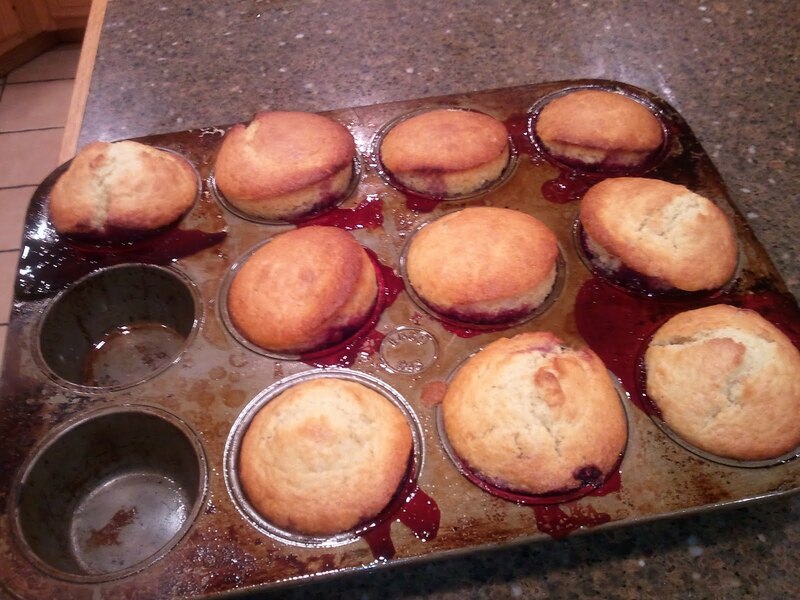 I used your recipe to create my own spins on these delightful little muffins. The rich color of red and blue Huckleberries work beautifully and a Cherries/Pinapple/walnut combination takes this recipe over the top. They are simply marvelous! Thank you for sharing it. These are really wonderful. I have done them as a takeoff on an pineapple upside down muffin as well. Always a hit!